Entertainment One and What’s My Scene are giving away five double passes (valued at approx. $40. 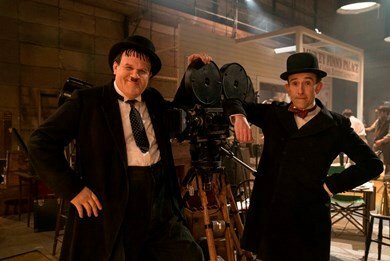 each) to see the film, “Stan & Ollie”. *If you’ve already subscribed, just let us know in your email. Answer the following question in 25 words or less: What’s the funniest scene you have found yourself in? Email your answer to: win@whatsmyscene.com Ensure you include your full name and contact number. Entries must be received by 5pm Monday 4th March. GOOD LUCK!